A well establish international campaigner, de Vries is a member of the Mercedes-Benz Buffalo City South African surfing team competing against national teams from 42 nations in the event that crowns Men’s, Women’s and Team champions annually. De Vries, who last represented South Africa as a junior in New Zealand in 2010, posted a pair of seven point rides for a two heat tally of 14.27, one of just a handful of double-digit totals on the day. He was joined by male team mates and fellow heat winners Adin Masencamp of the Strand and David van Zyl of Glenashley in Round 2 of the Qualifying Stream of the double-elimination format used in ISA events. Team captain Bianca Buitendag of Victoria Bay made full use her World Tour experience, winning her opening encounter in the women’s division with a total of 7.17. A bronze medalist at the corresponding event in France last year, Buitendag explained the significance of the World Surfing Games now that surfing has been accepted as a sport for the 2020 Olympics. Multiple event winner Nicole Pallet of La Lucia racked up 5.2 points to finish second in her first match up of the event and also advanced to Round 2. But rookie South African team member Zoe Steyn of East London dropped into the cutthroat Repecharge Rounds when she placed third in her Round 1 duel. The 14-year-old needed a score of just 1.28 to advance but missed out by 0.10 of point and now faces a difficult route to reach the final round of the event. Several surfers have won ISA titles after dropping into the Repecharge stream after Round 1, notably Steyn’s compatriot Jordy Smith of Durban who won the ISA Men’s title in California in 2006. The task is made more arduous by surfers in the Repercharge Rounds having to compete in nearly twice as many heats, each of which is only 15 minutes duration and any result other than first or second sees them sidelined from the event. The Urban Research ISA World Surfing Games were officially opened by ISA President Fernando Aguerre on Saturday after the signature Parade of Nations through the streets of Tahara and the traditional Sands of World ceremony where delegates from each nation pour sand from their beaches into a custom made receptacle. Notable attendees included Chief Operating Officer of Tokyo 2020, Yukihiko Nunomura, and the Sports Director of Tokyo 2020, Koji Murohushi, as Aguerre addressed the assembled crowd. The event webcast will be streamed on www.isasurf.org from Saturday 15 to Saturday 22 September. Team rosters, photos, videos, results and news will be available on the ISA website throughout the event. Mercedes-Benz and Buffalo City are supporting the South African Surfing Team’s participation in the ISA World Surfing Games for the second successive year. Surfing South Africa is the governing body for the sport in South Africa and is a member of the South African Sports Confederation and Olympic Committee (SASCOC), the African Surfing Confederation (ASC) and the International Surfing Association (ISA). Surfing South Africa is recognised and supported by the National Department of Sport and Recreation. 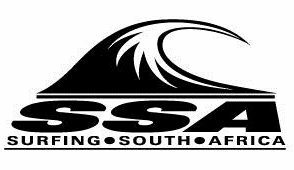 All South African surfing teams that participate in international events are chosen by the National Selectors and, in terms of the SSA Constitution, are ratified by the Board of Directors of Surfing South Africa.